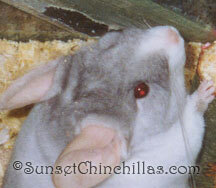 Chinchillas have two different types of eyes, some have a slit pupil and some have a round pupil. 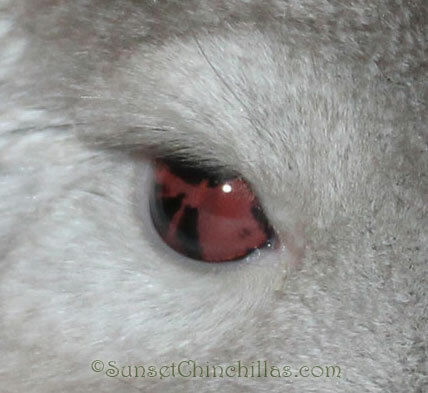 Slit pupil on a hetero beige chinchilla. 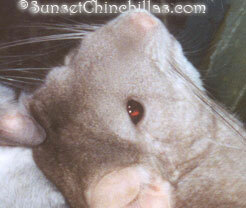 If your chinchilla has pink eyes it is some sort of beige. 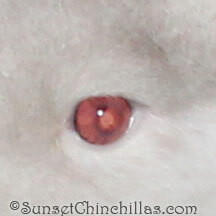 Round pupil on a Tov Tan White chinchilla. 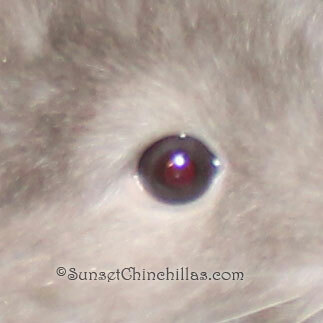 Below are examples of some of the eye colors you see in chinchillas. I have seen brown, gray, blue, pink and purple eyes. 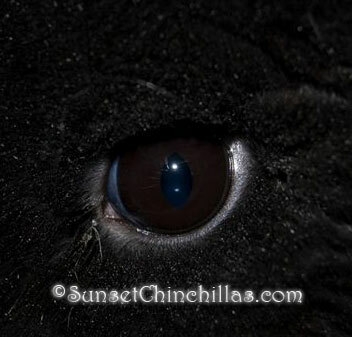 Black Velvet Eye. 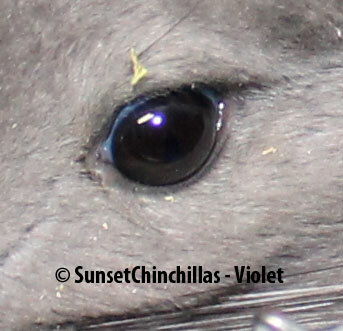 All grays and Black Velvets that I have seen have brown eyes. 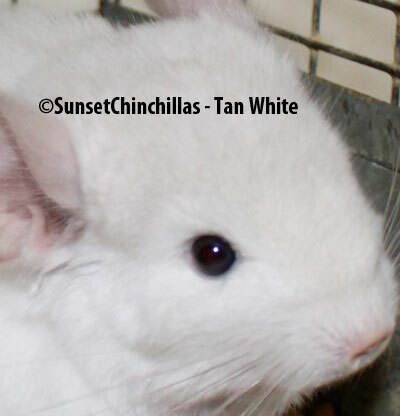 Tan Chinchilla with a blue eye. Sometimes tans and pinkwhites end up with blue irises. Tan White with a blue eye. 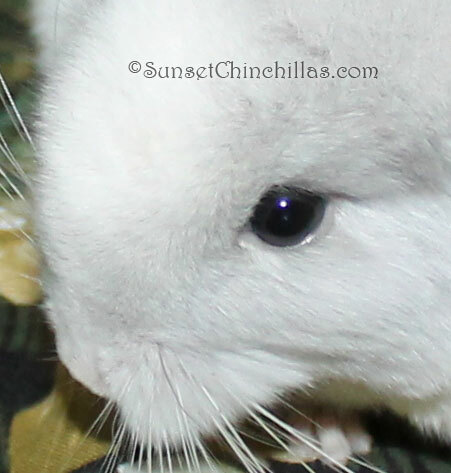 Violet eye color. Usually dark to light silver. White Violet, I've seen these range from silver to blue. Beige Sapphires are unique in that the sapphire causes the eyes to be parti-colored. They are always part brown and part red and no two are alike. You can see more in the Beige Sapphire section.